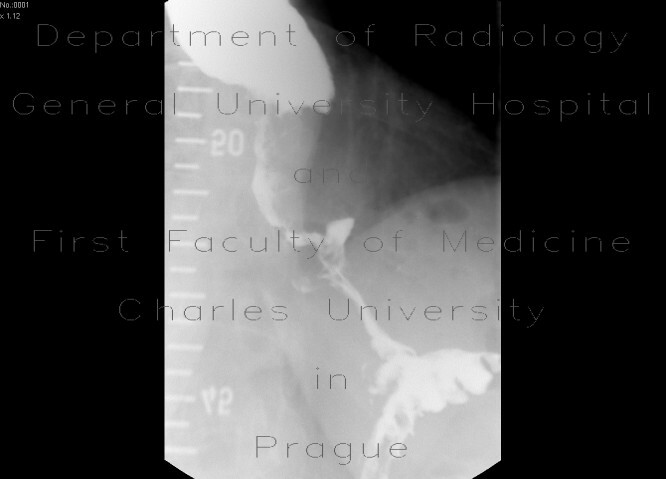 Tumorous stenosis of distal oesophagus. The stenosis is long, has irregular walls, abrupt change in the caliber of osesophagus. In the middle, there is an irrregular enlargement of the lumen due to intratumoral necrosis.